What is Q-Certified at Hubler Automotive Group? When you’re looking for a high-quality used car that you can trust, turn to the Hubler Automotive Group. Our used car dealership near Carmel, IN, offers a variety of pre-owned trucks, SUVs and more that are backed by our special Q-Certified program. To be deemed a Q-Certified Pre-Owned vehicle, the models on our lot must have fewer than 100,000 miles or be less than nine years old. All our Q-Certified cars, trucks, vans and SUVs have passed our 128-point vehicle inspection for safety and reliability, which is conducted by our ASE-certified technicians. Q-Certified models also must have a clean title and include a free CARFAX® Vehicle History Report. Additionally, these vehicles will have genuine parts to ensure they run smoothly for years to come. 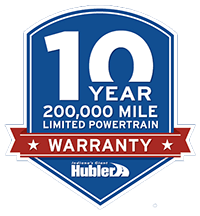 When you buy a Q-Certified vehicle at Hubler, there are even more benefits to consider! Your Q-Certified vehicle is backed by two distinct warranties.